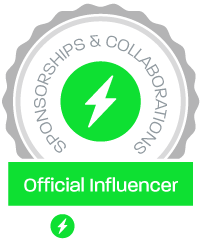 This is a sponsored post written by me on behalf of Funkyflick Company for IZEA. All opinions are 100% mine. When it comes to finding a good movie, I rely on different sources like: Tv trailers, words from friends, searching imdb database or social media. As you know, it is worth to do some research before watching a movie to assure it has the elements you are interested into and doesn’t have elements that you don’t like or approve. Recently I discovered Funkyflick, an online tool for finding movies based on a book or any wiki page. The website is pretty straight forward and very easy to use. Right at the top you can find the search box. You can enter a movie or book title, an actor name, or a search term. For example, if I want to find the movie Notebook, I enter the word notebook into the search box. Under the search box you’ll see a list of results, starting with the ones that fit best the search term. 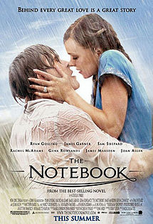 If I select the “Notebook” (2004 film) and click on it, then I see the cover for this movie together with other movie recommendations based on: The Notebook (2004 film). For example, clicking the Golden era will show only movies from 1975 – 2000 timeline. When you have your final results, you can mouse over the movie cover or click on the cover to get the details on a new window. You can read the movie description, share it with your friends, watch it on iTunes or buy it from Amazon. There is a “Find similar” link at the top right of this window. Clicking “Find similar” will show specific results for related movies. So the search can go on and on, until you’ll find all movies that interest you. Find new movies now on Funkyflick!